There are times you need gravy for a dish but you don't have anything roasting in the oven that will provide the drippings. 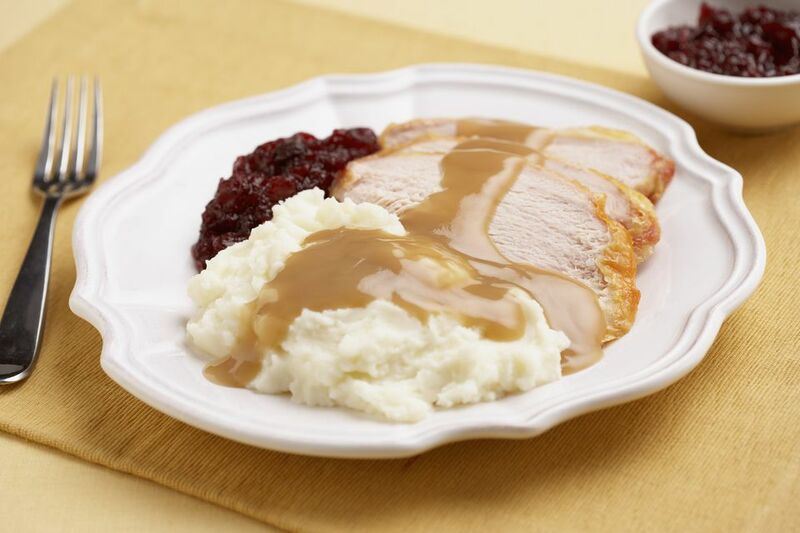 Or, perhaps you are planning a large meal (such as Thanksgiving or Christmas dinner) and would like to make the gravy ahead, instead of having to whip it together right before you all sit down to eat. But since gravy requires the drippings from a turkey, chicken, or beef roast, it seems impossible to put together without this essential ingredient. Luckily, you can make gravy using lard, oil, or bacon grease and flour as the base. Will it be as good as gravy made with the flavorful drippings from roasted meat or chicken? No. But it will still be delicious! Set a large skillet over medium-high heat and cook the fat for 2 minutes. Add the flour, whisking constantly to combine. When drippings and flour are combined, turn heat down to medium and cook for 10 minutes, whisking often. Add remaining ingredients and bring to a boil, still whisking often. Reduce the heat to a simmer and cook for 20 minutes, again whisking often. Cajuns love rice and gravy and could have it at almost every meal, indeed, sometimes as a meal. For this reason, the recipe makes about 12 cups, which will leave you with plenty of leftovers. Good thing is that gravy can be frozen. Portion out by cups into airtight containers and place in the freezer until ready to use. Simply defrost what you need and heat the gravy. The proportion of fat to flour in this recipe makes a thick gravy. For a thinner gravy use less flour—the standard ratio is equal parts of oil and flour. To get the most flavorful gravy, use a rich tasting stock. If you use a concentrated form, such as Better Than Bullion, you can make the stock with more intense flavor. If you feel like gravy isn't gravy without the drippings, you can save them (as many Cajun cooks do) from cooked chicken, beef, pork, and duck and place in the refrigerator until you're ready to make the gravy.